Overview. Primarily designed for small to medium sized offices, the Canon iR-ADV C3325 Printer is a printer, scanner, copier superhero. The fast start-up times and printing speeds are the main benefits of this printer, as well as the breathtaking output of course. Although being a little bit on the heavy side, this printer can certainly be forgiven. Benefits. You really can’t go wrong with the Canon iR-ADV C3325 Printer. The print speed is remarkable, giving you your important documents in record time and in outstanding quality. This printer also has a fast start up time, making sure you’re not waiting around for anything. This printer efficient printer is incredible. The print quality from the Canon iR-ADV C3325 Printer is outstanding, and you really can’t go wrong here. 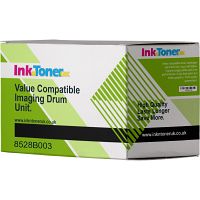 The toners this printer uses are also high capacity toners, meaning you’ll never have to worry about your printer running out. Limitations. There isn’t really anything to complain about when it comes to the Canon iR-ADV C3325 Printer. One small thing which could be considered a limitation is the weight of the printer. Weighing approximately 63kg, this printer is pretty heavy, but when it comes to heavy-duty printers, that’s sort of expected.